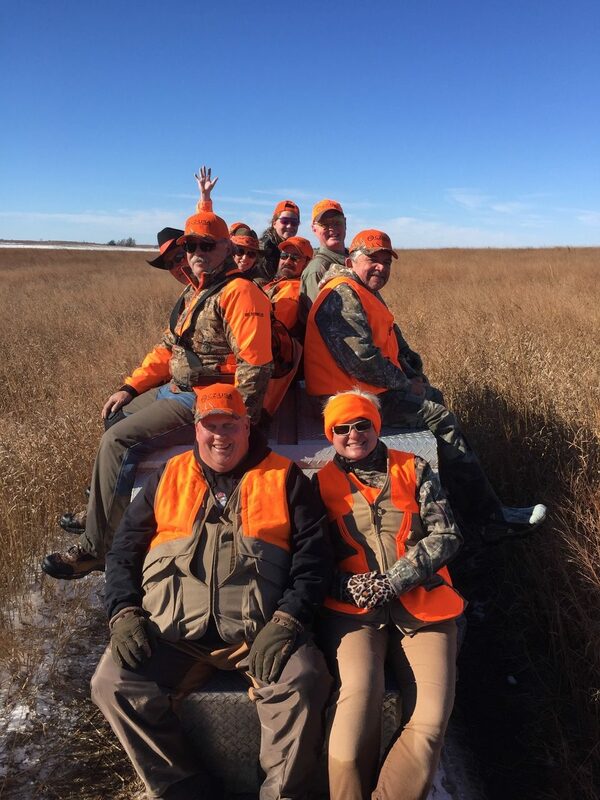 Recently, I had the opportunity to hunt pheasant in Greensburg, Kansas, with CZ-USA. 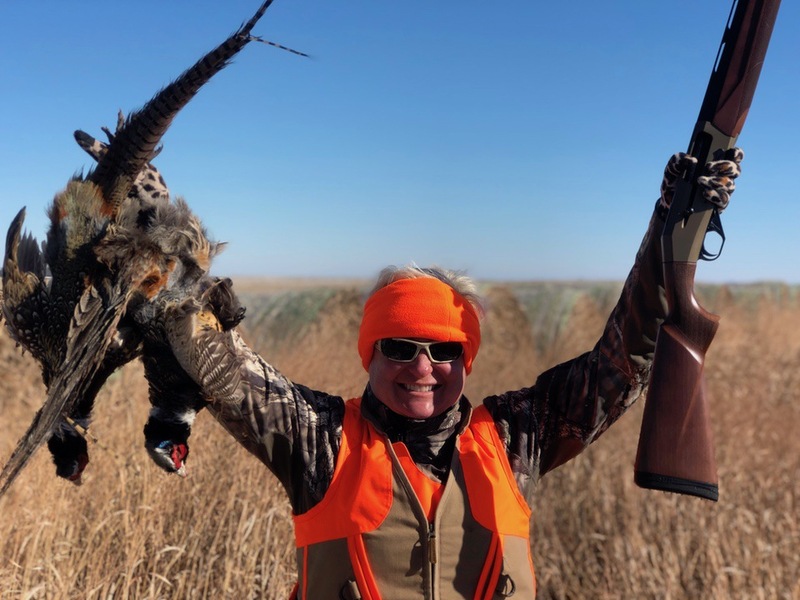 We hunted with Upland Inn Hunts, an upland game bird technology and habitat development company. The Gun Dog TV crew, from Outdoor Channel, joined us. 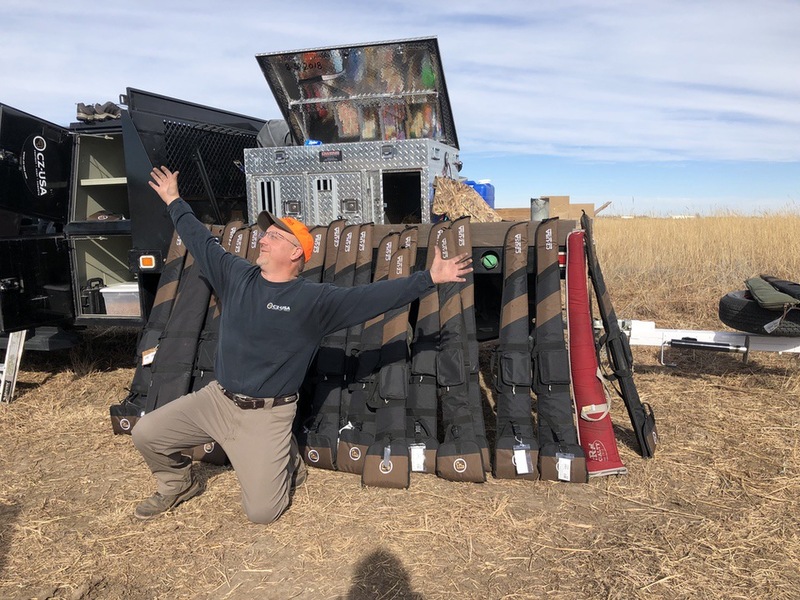 Dave Miller, CZ-USA’s shotgun product manager and pro-shooter, brought along several shotguns and hundreds of rounds of Aguila 11/4-ounce of #4 shot at 1330-fps ammunition for everyone to use. 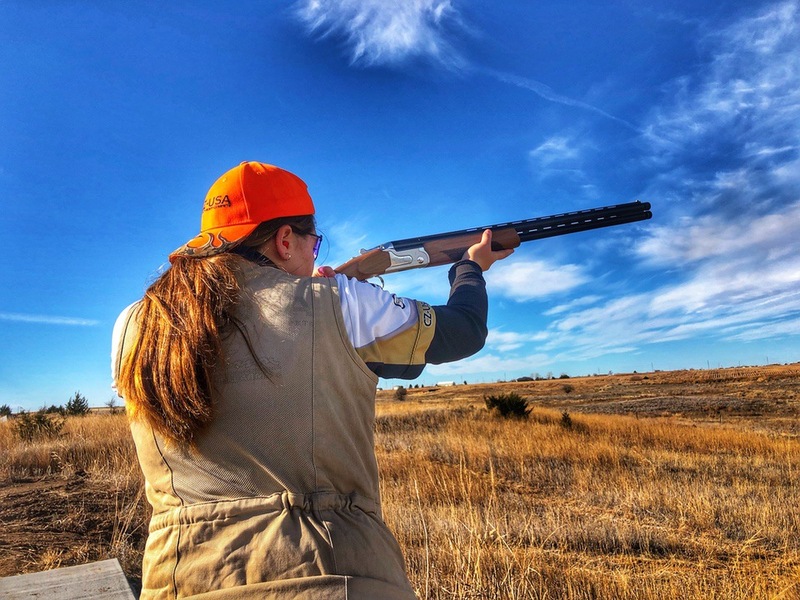 We spent some time practicing for the hunt on the range by shooting clays. Makayla Scott, a 15-year-old CZ-USA brand ambassador and hopeful future Olympic star (I have no doubt.) outshot everyone. 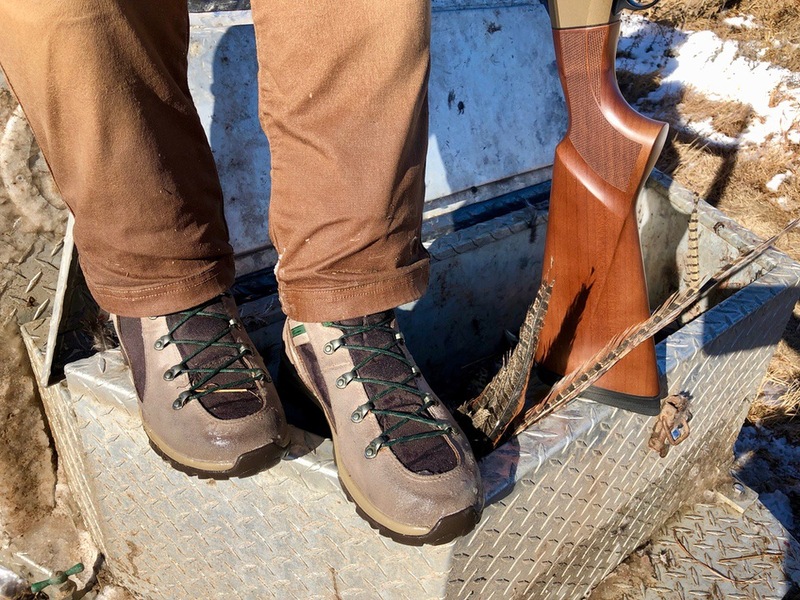 This gave us time to try the various types of shotguns – over/under, side-by-side, semi-auto. I chose the new CZ-USA 1012 semi-auto shotgun for the hunt since it’s their newest model available. I wanted to get a feel for it, plus, shooting a semi-auto meant 3 shells in the gun … bonus! With all the color choices of this model available, I could have changed it up for each day. 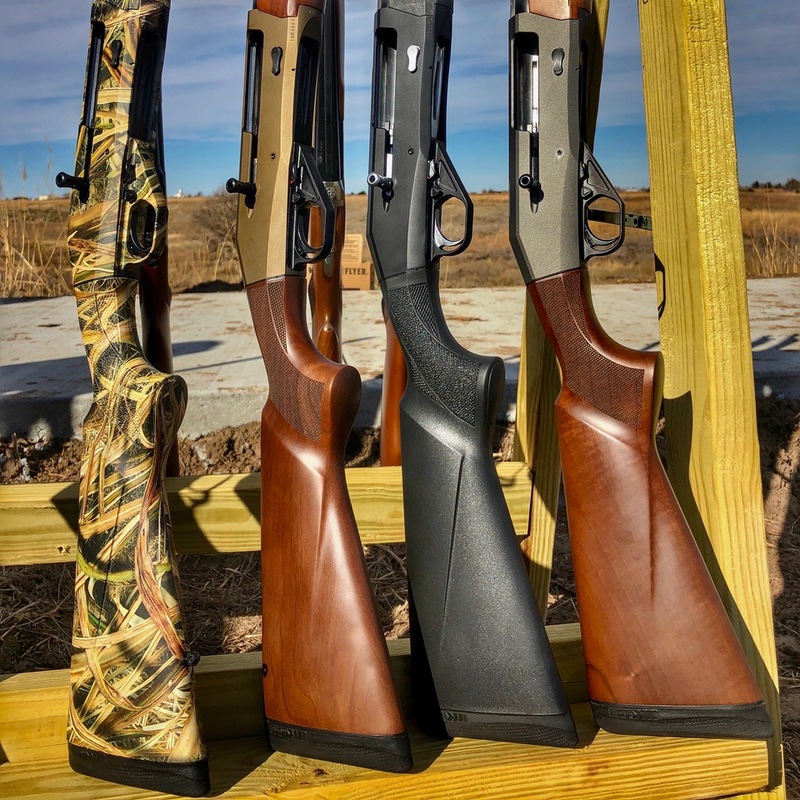 The gun comes in glossy black with a wood stock, matte black with a black poly stock, Mossy Oak Blades camo, bronze with a wood stock and grey with a wood stock. I also finally got to meet Anna V, another CZ-USA brand ambassador who I interviewed last month. 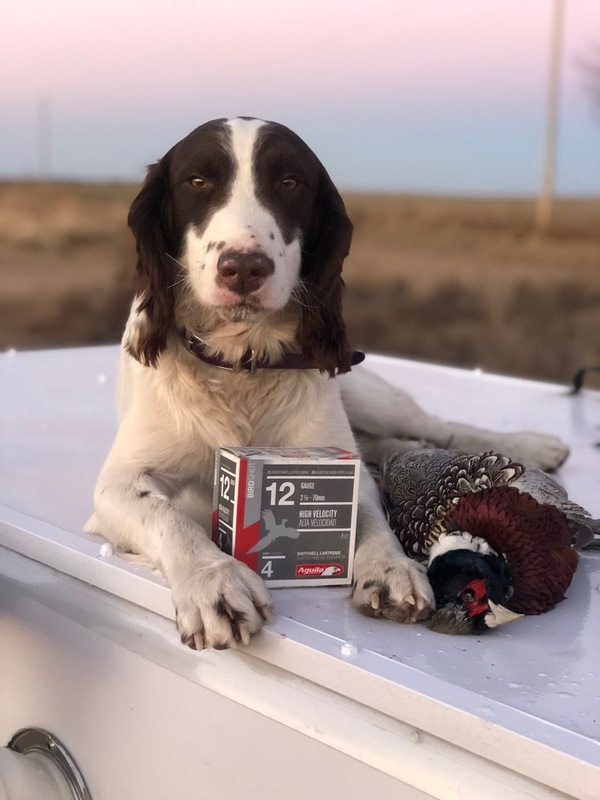 She carried the CZ-USA Sharptail in 20-gauge for the hunt. 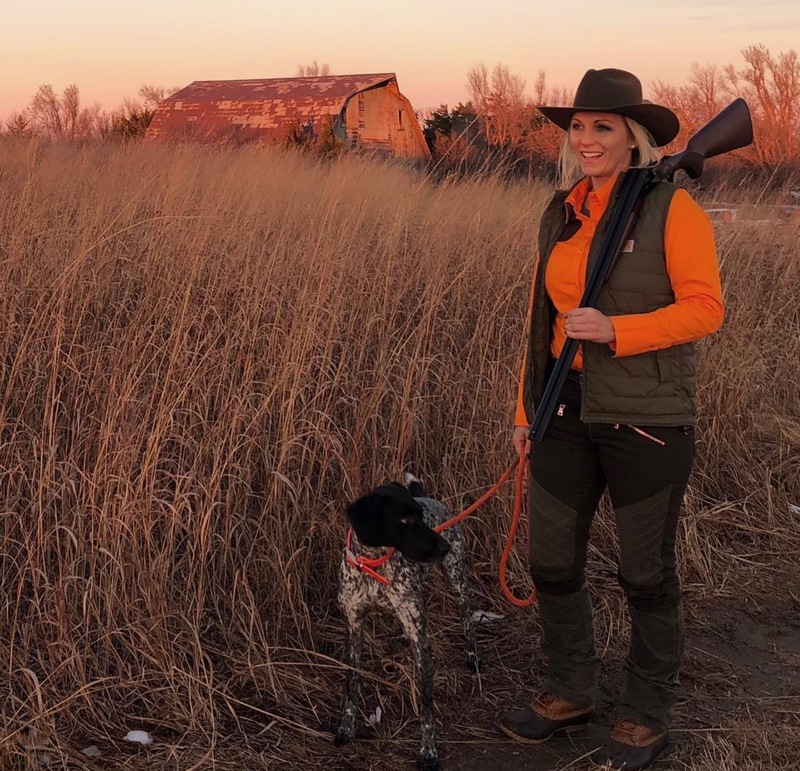 During the hunt, we walked through native grass in a CRP (Conservation Reserve Program) and also, through small food plots of milo. At times, the grass reached as high as my chin, which made it not always the easiest to traverse. 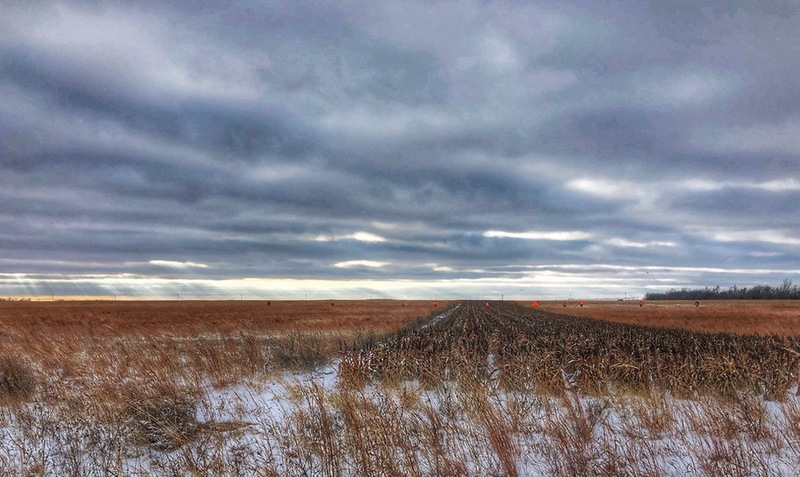 The first day of the hunt, the temperature rose to a balmy 68 degrees, which, for Kansas, is a heatwave. Dave Miller’s dogs — Clay, Guinness and Sailor — excelled in the field. They flushed 5 pheasants as soon as we started walking and set the bar high for the other dogs. After unloading and checking all the shotguns, we piled on the dog trailer for transportation between fields. After walking in the thick and often tall grass, it felt really good to give my legs a break. I’m so glad I wore my Danner Wayfinder boots. They kept my feet warm and dry, especially considering the change in the weather, which made the fields quite soggy. Their lightweight construction and upper support were perfect for maneuvering through the grasses in the mushy, sandy soil. I wish I could say as much for my pants. The weather went from 68 degrees with light winds to 24 degrees with blizzard-like conditions. In fact, the state transportation department even closed the roads at one point. Yes, we all enjoyed a successful hunt. The CZ-USA shotguns paired with Aguila ammunition functioned flawlessly. 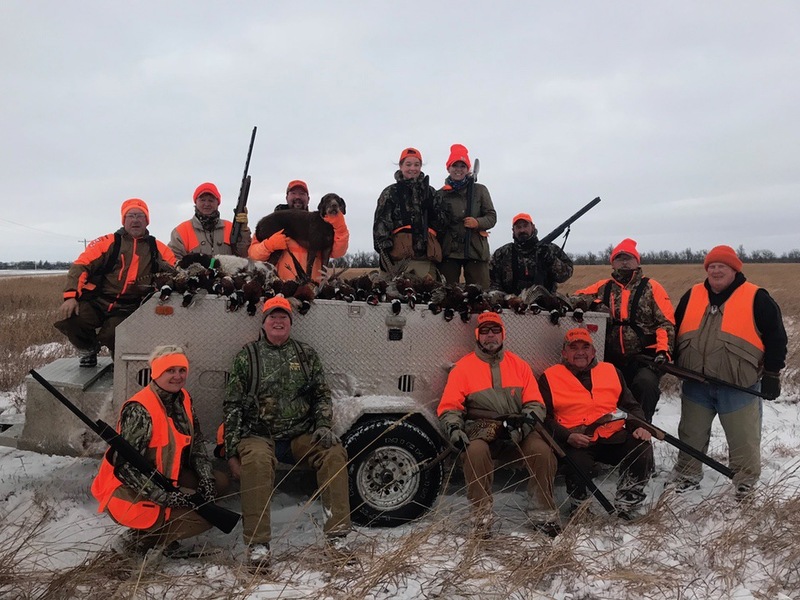 Plus, great camaraderie, delicious restaurant quality food at Upland Inn Hunts, amazing birddogs and well, a bunch of pheasants combined to make this outing memorable. I will be sure to let you know when our hunt airs on Gun Dog TV. 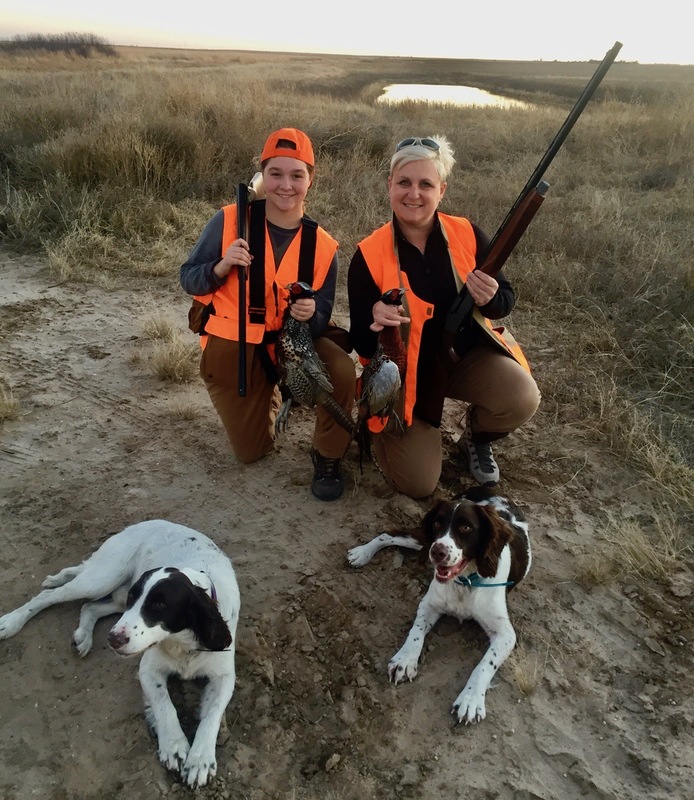 In the meantime, check out some of their hunting adventures here. Find more information on Upland Inn Hunts here. Visit CZ-USA to find the perfect shotgun here.